In New Jersey, if you are 17 years of age or under, and charged with a crime, you will likely be charged as a juvenile. Juvenile offenses, however, can still carry pretty hefty fines and penalties. Some of the most common types of juvenile offenses are drug-related, theft, disorderly conduct, or alcohol-related offenses. If I Committed an Offense as a Juvenile Will it Follow me Into Adulthood? There is an incorrect assumption that if you are charged with an offense as a juvenile it will be automatically removed once you reach adulthood, or 18 years of age. New Jersey allows you to have your juvenile record expunged under certain circumstances and once you reach a certain age. When a juvenile’s record is expunged it is usually destroyed. The state allows for expungement under the premise that the juvenile offender can move into adulthood with a clean slate. Who is Eligible to Have Their Record Expunged? Any act, if committed by an adult, would be a violation of an ordinance. Are There Eligibility Requirements for Expungement? At least 5 years has elapsed since the last time you were convicted of a crime, paid fines for a crime, were released from jail/prison, or completed probation. 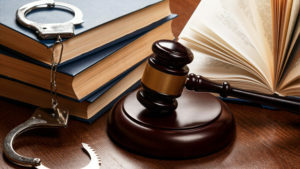 If you are the parent of a child who has been charged with a juvenile crime and would like more information about getting an expungement, contact an experienced criminal defense attorney in New Jersey.